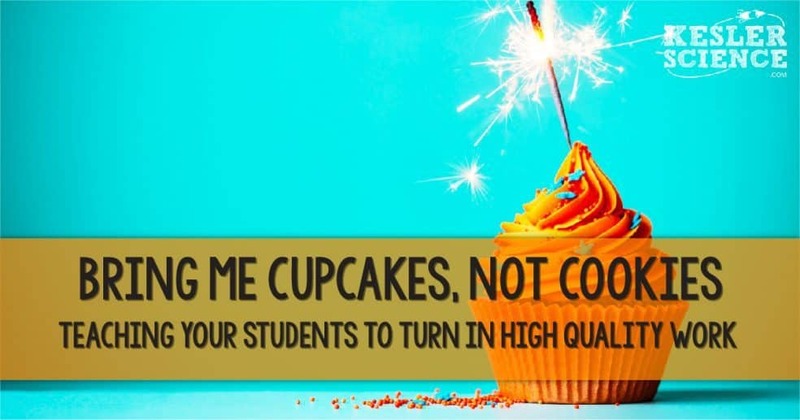 During the beginning of the year is a great time to have the conversation with your students about what high quality work looks like. I heard this anecdote from one of the assistant principals at our school and felt like it was highly relevant to the secondary classroom. This may sound crazy but I relate high quality work to cupcakes. You see, I LOVE cupcakes. There’s something just so perfect about them. Not only do they look amazing, but in order to have a perfect cupcake a lot of things have to be just right. They have to just the right amount of ingredients to make them moist and delicious. Everything in a cupcake is well thought out and aides in making the overall cupcake a delight to eat. When I receive work that is well thought out it makes me so happy. I call it a cupcake! I can tell almost immediately that it’s going to be awesome and has all of the attributes that YOU have listed as a class on the board. On the other hand, I sometimes receive work that looks like little to no effort was involved in it. I call this type of work a smashed cupcake. Have you ever seen a cupcake that looks like it came from the bottom of the box? It’s all smashed up. Heck, maybe even someone licked off all of the icing and then put it back hoping no one would notice. 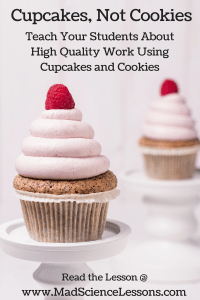 Those types of cupcakes have all of the characteristics of poor work. People didn’t allow them to live out their destiny which was to end up in my belly! 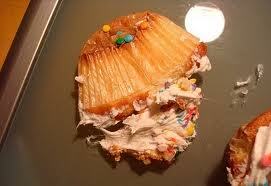 Smashed cupcakes are just gross and no one really wants to eat them. 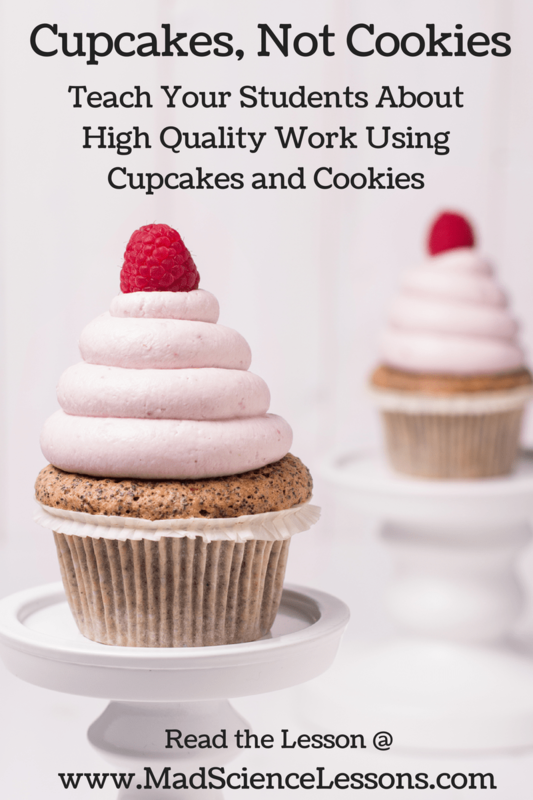 Look up at the poor characteristics of high quality work. They are synonymous with a smashed cupcake. Don’t get me wrong…I definitely like cookies, but I’m asking for cupcakes. Make sure that when you’re turning in work that it addresses the content and guidelines that you were given. I totally support creativity and going the extra mile, but the end result needs to cover guidelines or rubric that were given. Anything beyond that is icing on the cake!